Why stumble, if not in order to get back up? The Kuomintang cannot afford dejection or hesitation, and must recognize and learn from mistakes. From the grass roots to the party power core,, how can the loose, sluggish party machine recover its might? In the wake of the Kuomintang's stunning defeat in the nine-in-one elections held on the last Saturday of November and Ma Ying-jeou's resignation as party chairman, what will the party's next move be? Huang Min-hui, mayor of Chiayi City and a KMT vice chairperson, related an unusual experience. The night of the election, with a heavy heart she and several top-ranking party supervisors got up and apologized to party supporters before boarding the High Speed Rail back to Chiayi. On the way home, she met a self-described "dark green" (pro DPP) citizen, "Who came up to me and said 'I hope the Kuomintang stops and reflects (on the election outcome). This is what the voters would like to see,'" she relates. "That conversation put everything into focus for me," says Huang. "I'm not worried about going back to the start and rebooting everything; I just don't want to see indecisiveness." 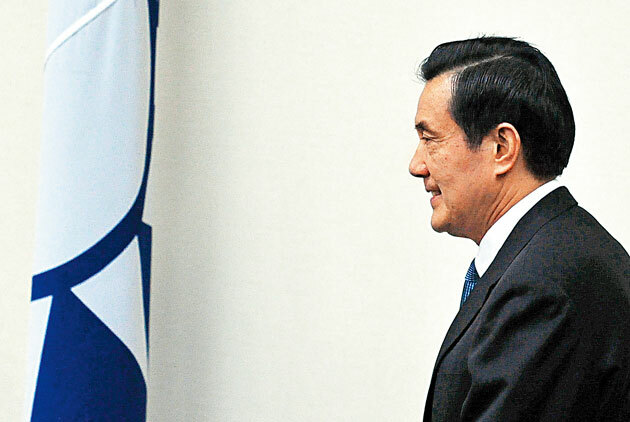 Indeed, given its century-long history and prominence as the party that led Taiwan's economic development, despite the power vacuum at its leadership core and facing a flood of criticism from the outside, the Kuomintang cannot afford dejection or hesitation. On the contrary, it must put party and government mechanisms into action without delay for executive and legislative coordination, so as to get the party's and government's loose and sluggish engines back working at full effectiveness. It could also stand to enrich and enliven its sorely lacking cross-strait policy discourse to demonstrate more aggressive political party values. The first order of business is the selection by the party membership of a new chairman next January. The candidate must have the fortitude to see reform through, and must be able to set policy for party and government interaction across the executive and legislative branches, and enhance service at the grass-roots level. One clear example is that amidst the populist climate that pervades Taiwan at present, rational thinking is lacking. This often causes the KMT to waffle on major policies, so that they barely make it out of the Executive Yuan. "The whole country is too emotional. There is no room for rational discussion, the same names in the media just rattle on and on, and behind them the stances of the various party factions clash and jockey for position," relates legislator-at-large and former minister of the Environmental Protection Administration, Chiu Wen-yen. From food safety to gas explosions, the KMT's handling of major policies "almost always failed the public's expectations," he added. This outcome is largely connected to the out-of-tune communication between the party and government, and lack of cooperative liaison between executive and legislative units, and the inability to provide each other support. Ting Shou-chung, after 25 years now the third-most senior legislator, offers that prior to the shift in power to the Democratic Progressive Party (DPP) in 2000, even though the KMT enjoyed decisive advantages, "Senior government officials like Wang Chao-ming shuttled back and forth to the legislature," and the party whip was always a senior legislator, while a deputy executive officer oversaw legislative committees. A chairperson oversees each committee, and the deputy chairperson is the second in command over all the government ministries, so that "executive and legislative units meet together, for thorough coordination between the party and government." "With this mechanism (working properly), there would have been no unnecessary delay in amending the Code of Court Martial Procedure following the Hung Chung-chiu case, stirring 250,000 angry citizens to take to the streets in protest," Ting notes. "Even if reform cannot be accomplished all at once, at least we should revive the Central Standing Committee's function for discussing important policies," suggests Hsu Hsin-Ying, CSC member and a legislator representing Hsinchu County. "There should be mechanisms for tracking and evaluating CSC members' performance on their recommendations to the Party," Hsu adds. The new chairman's reform challenges extend to invigorating the party's grass roots organization so that the nerve endings in contact with society's pulse can work to full effect. "This party has had plenty of good opportunities; it just hasn't worked hard," laments Chiu Wen-yen, who frequently represents Taiwan at overseas meetings. "If the party headquarters looks to win people's hearts and minds, maybe it should learn something from how tea is served to the public at local district offices," he adds. Observing the changing climate amongst party factions in central and southern Taiwan, National Taiwan University political science professor Chang Yu-tzung found that the KMT's difficult battles in the southern half of Taiwan are admittedly related to the weakening of local factions, whilst an even bigger challenge is increasing ideological vacuity. "The DPP's ideology is crystal clear, and that is devotion to Taiwan," says Professor Chang. On the other hand, "what the KMT stands for doesn't seem so clear," he notes. This brings up a bigger, more difficult challenge for the Kuomintang. That is , to propose more mature, comprehensive cross-strait policy discourse so that "the entire populace can enjoy the peace dividend" across Taiwanese society. Su Chi, former National Security Council secretary general and current president and CEO of the Taipei Forum Foundation, relates that, in contrast to China's insistence on the "one China" stance and the DPP's "One Country on Each Side" position, the Kuomintang actively promotes cross-strait exchange under the "1992 consensus," placing it in a buffer zone between the two. However, this position is also like being between a rock and a hard place, to the party's disadvantage. "No matter how difficult it is, the Kuomintang must be a responsible political party," offers Huang Min-hui, who captured the mayor's seat in Chiayi eight years ago for the KMT, ending the opposition's long-term hold over the office. "Taking responsibility means helping the people distinguish clearly between right and wrong, because the people must bear all eventualities." "If the people are willing to give the KMT a chance, the KMT will certainly cherish the opportunity," she asserts.